The companies listed below regularly hire individuals for home-based positions – some positions are freelance, some are independent contracting, and others are full-time gigs with full benefits. While all companies are believed to be legit, they have only been soft checked, meaning that I did a quick search to see if there were any negative reviews or ratings. As is always the case, you need to do your due diligence (research the opportunity extensively) prior to enrolling in any business opportunity or applying for any work at home job. 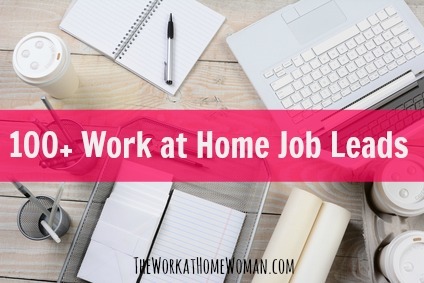 Looking for more legit work at home jobs? Check out FlexJobs where every job is hand-screened and legitimate, guaranteed! ACD Direct is a business that offers contact center solutions to businesses. ACD Direct hires home agents to make inbound and outbound calls, see site for more details. Alpine Access provides customer service solutions for businesses. This company is a member of the Better Business Bureau and hires at home customer care professionals. Average pay is $9.00 per hour. Please note that they do charge a $45 fee for a background check. Arise – For over a decade, Arise has pioneered a unique businesses model working with a network of at-home independent businesses capable of providing call center services for Arise clients, which include many Fortune 500 companies. Essentially, the next time you call a company to make a reservation, or dispute a bill, you may be speaking to a small business owner working from home. Arise creates thousands of work-at-home opportunities each year. Aspire Lifestyles hires home-based concierge personnel to assist companies with responding to customer service queries and client requests for information via phone, email, and chat. Positions available in the US, Canada, the UK, and Singapore. CloudSource, the work at home division of Sutherland Global Services, employs customer service consultants from all 48 contiguous states to support industry leaders in the cable/Internet service, retail, software, and gaming console industries. While all CloudSource positions are customer service in nature, some are more heavily focused on sales and/or technical support. Inbound calls only, paid training, ongoing support and growth opportunities exist … All from the comforts of your own home. ContractWorld hires work at home customer reps for large companies like, Pizza Hut, Loreal, and KFC. Convergys hires home-based call agents to provide customer service support. This company offers paid training, hourly wages, as well as benefits like, paid time off, 401k retirement plan, life insurance, medical, dental, and vision. See site for more details. Fancy Hands hires remote-based workers to complete customer service requests like: Making phone calls on behalf of people, scheduling appointments, tracking down the best price, finding hotels, and data entry. Gabbyville – If you’re a bright, articulate individual with exemplary administrative, customer service, or receptionist experience and wish to join our talented, dedicated team of virtual receptionists, we’d like to hear from you. We are looking for both full & part time positions. Hours are from 9am – 8pm (M-F). The position is work from home and require a laptop/desktop w/ Windows 7, XP, 8. Job requirements our ideal candidate will possess the following: Previous sales experience preferred, strong communication skills, proficient computer skills, neutral accent, and a GREAT ATTITUDE is a plus! With flexible work schedules, competitive compensation and amazing growth opportunities, we invite you to bring your skills and expertise to our team. Liveops is a virtual call center company. They hire at-home agents to perform inbound and outbound calls for customer service, customer acquisition, customer retention, revenue maximization, political, disaster relief, incident response and fundraising. Sutherland CloudSource employs customer service consultants from all 48 contiguous states to support industry leaders in the cable/Internet service, retail, software, and gaming console industries. While all CloudSource positions are customer service in nature, some are more heavily focused on sales and/or technical support. Inbound calls only, paid training, ongoing support and growth opportunities exist … All from the comforts of your own home. Talk 2 Rep hires at home agents to conduct various phone items, such as to sell a service or product, conduct a telephone survey, upgrade a customers’ service or handle a customers inquiry. TeleReach offers telephone marketing services. This company hires home-based positions in, appointment setting, lead generation, information gathering, seminar reservations, website marketing, product introductions, trade show follow-up, direct mail follow-up, prospect education, script development, list development, list updating, database sourcing, list merging, prospect, identification, tracking reports, prospect feedback and program evaluation. West at Home offers home-based positions for home agents that complete customer service calls. Pay is based on per minute rate or per call rate. This company offers paid training. Working Solutions hires independent contractor home-agents to provide sales, technical support and customer service. Home-agents can put their experience to work and enjoy the freedom of working when they want, where they want. They select highly educated, experienced professionals with product knowledge, certifications and industry experience to match our clients’ business needs. They never charge any fees. Home-agents earn anywhere from $8.00 -$20.00 per hour, depending on the program. CashCrate is an online platform where you can start earning money by completing offers, taking surveys, watching videos, and shopping online using their site. I’ve played around on the site a little bit and you’ll want to make sure that you read all of the fine print on each and every offer. Many offers require an email address, which means you’ll receive offers from them and other marketers. Tasks pay out anywhere from a few cents to $30.00 or more, and you’ll receive a $1 for signing up for an account. Payments are made via check or PayPal. InboxDollars here you can earn cash for surveys, reading emails, playing games, redeeming coupons, searching the web and shopping online. Membership is free and you’ll receive $5.00 for signing up. Payments are made via check. Swagbucks is an online platform where you can earn points called SB, which can be redeemed for gift cards and coupons. You can easily earn SB points by watching videos, playing games, answering questions, shopping online, and even surfing the web using their tool bar. Refer your friends and you’ll earn even more SB points. Your SB points can be traded in for gift cards from Amazon, Target, Starbucks, PayPal, and Walmart. Please Note: These business opportunities require a small investment upfront, but give you all the tools and support that you’ll need to start your very own home-based business in the direct sales industry. ABC Fundraising – Earn up to $5,000 per month or more! Work from home setting up fundraisers for schools, churches and non-profit organizations. Since 1993 ABC Fundraising has helped over 50,000 groups raise over 50 million dollars and we want to help you start a new career today. Recently one of our distributors earned $7,200 by simply setting up a school-wide fundraiser with our flagship fundraising product. Get a FREE information kit now and sign up for our free online webinar to learn more about this exciting business opportunity. Ava Gray Direct – Be bold and launch your own pop-up boutique business with Ava Gray Direct! This ground floor opportunity features designer women’s apparel in a wide range of sizes, is made in America, and machine washable! Our chic, yet extremely comfortable clothing sets us apart and can be paired with our scarves, jewelry and totes for a complete look. Please contact me to find out what Ava Gray can do for you, learn about our training and become the first Ava Gray Direct Stylist in your area! Contact [email protected] or visit www.avagraydirect.com/Jeannette. Avon – At a time when opportunities are scarce and finances are tight, you can start an AVON business and EMPOWER your life. As the world’s largest direct selling company and leader in beauty, anti-aging skincare, and fragrances, we make it easy for you to sell and succeed, right from the start. Why Sell AVON? You have your own business, You set your own hours, You determine your family/work/lifestyle balance, Minimum start up investment, No inventory required, and Exclusive Avon Opportunities. See why more than 5 million people around the world are enjoying financial success and personal growth as Avon Sales Representatives. Join today! Beachbody – If you love helping people, are passionate about Health and Fitness, and want the opportunity to work from home with unlimited income potential, health and fitness coaching may be the right fit for you. Beachbody is the creator of well-known home fitness programs such as P90X, Insanity, Turbo Fire, and more. As a coach, it’s your job to keep accountable, motivated, and supported your customers who start these programs at home and make sure that they finish them and reach their goals with Success! Your job can be done all online. It’s your chance to end the trend of obesity and help others on their journey to a healthier and happier life! Become Beauty – Sharing the gifts of become has it’s privileges – generous product discounts, earn extra income for you and your family, travel to exotic destinations, and make memories that last a lifetime. Spend only a few hours a week sharing our Australian beauty secrets and helping everyone you touch become beautiful inside and out. With a small fee and minimum start-up order, you will be on your way to living the life you love. CAbi – Simply put, CAbi is a designer clothing Collection sold in a relaxed home environment by a trained fashion Consultant. But as any Consultant will tell you, CAbi offers so much more than clothes. Imagine setting your own hours, affecting lives through relationships, and calling your own shots! CAbi is all about giving women their lives back and enabling them to put first things first … all while building a truly sustainable career. Chelsea Row – There are two things that make Chelsea Row awesomely unique: incredibly powerful online selling tools and an amazing GROUND-FLOOR OPPORTUNITY. Boutique Owners who join now have a chance to shape the future of the direct selling industry and, even more importantly, their own careers. Our virtual trunk show party technology is designed to take your business to an entirely new level. You and your guests will see, hear, and shop with each other in a live video setting. It’s all of the fun of an in-home party with less time and no travel! Plus, our hostess rewards and compensation plan are fantastic, and our gorgeous jewelry comes with a lifetime warranty! Chloe + Isabel – A fashion jewelry brand devoted to empowering the next generation of entrepreneurs through social retail. Our handcrafted jewelry is sold exclusively through our Merchandisers, a diverse community of c+i business owners, each building out her resume (+ bank account) through personal styling, social selling, and digital marketing. Our mission is to provide each and every one of these Merchandisers with the training, resources and mentorship they need to achieve their personal and financial goals. Dakomoda – What parent doesn’t want to dress their child in fashionable clothing made from superior materials? The problem of course, was that most parents couldn’t afford such luxury … until now! Experience the joy of beautiful clothing, community and profits of your own flexible home business. No need to be an experienced sales person to succeed. If you are a mom you are a natural sales person! Home Showcases are the heart of our business. Our hostesses are special and we genuinely appreciate them. Dakomoda hostess rewards are truly generous and help our partners earn generous commissions and our hostesses tons of free products. Join us today! Essential Bodywear – Turn uplifting products women love into your dream life! Essential Bodywear offers an exciting career plan to help you build your own business. This unique opportunity puts you on the ground floor of an innovative company. We offer products every woman needs, with the attention every woman deserves. Feel good about making a difference in women’s lives! Enjoy fabulous products, fun, and financial opportunity! If your dream is financial freedom and to help women with a much needed product contact us for more information. Healthy Hands Cooking provides stay-at-home moms with a passion for nutrition and kids, the chance to make a healthy income, while making a difference in kids’ lives. Keep 100% of your income, empower kids in your community with vital healthy living skills, and LOVE WHAT YOU DO! J. Hilburn – I am hiring stylists today for J. Hilburn, a men’s luxury retail brand. Being a stylist for J. Hilburn is the most flexible, lucrative, and fun job I have ever had. Start today by reaching out to me to schedule an interview. Call 508-740-1016 or email me at [email protected] and check out our website deniserosenblum.jhilburn.com. Jamberry Nails – Opportunity at your fingertips! Embark on your Jamberry journey today and start making your dreams a reality! Jamberry gives you everything you need to launch a successful business in your starter kit! Jamberry offers one of the best compensation plans in the industry with earning minimum 30% commission. Jewelry Candles – With JewelryCandles.com you get to promote and sell an amazing product that your friends will totally enjoy! There is a surprise piece of jewelry in every Jewelry Candle that is valued from $10 all the way up to $7,500! You could find a ring, necklace, pendant, bracelet or pair of earrings in your Jewelry Candle! Make up to 25% in commissions. Visit us today at http://www.JewelryCandles.com and click on “Become A Rep” to sell our awesome products today! Kaeser & Blair – Promotional Products Business Ownership Program is the perfect business opportunity for today’s stay-at-home mom. K&B makes it easier than ever to work at your own pace, create your own schedule and capitalize on an industry that does over $21 billion of sales each year. As a K&B business owner, you are your own boss and in complete control of both your hours and earnings. You have the ability to work as much—or as little—as you choose, and reap the benefits. Part-time business owners earn up to $20,000 annually, and full-time business owners make as much as $185,000. The possibilities truly are endless. Learn more about the risk-free opportunity with Kaeser & Blair here. KOKOON boutique without borders is a completely unique fashion company offering limited edition designs, all proudly made in the USA. An ever-changing selection of beautiful, contemporary styles designed for the busy, modern woman. With only 75 Representatives nationwide, KOKOON is the perfect flexible business opportunity for the socially savvy entrepreneur. Makeup Eraser – Distributors and Free Affiliates wanted! High income potential with three ways to earn and a ground floor opportunity. Makeup Eraser offers a product that every woman needs: a reusable and chemical-free cloth for face cleaning and makeup that only requires warm water to perform beautifully. Follow the link to see a demo and learn more. Nature Unleashed – Home is where the heart is … so if you have a passion for being proactive and protecting your family from harmful chemicals with your everyday cleaning, first aid, personal & animal care, then you may be interested in learning more about the rewards of becoming a Brand Ambassador for Nature Unleashed. If you enjoy helping others do the same while achieving personal financial fulfillment, all while working from home, then you may be interested in learning more about becoming a Brand Partner with Nature Unleashed. At Nature Unleashed, unleashing your potential and owning your own business is simple to start … simple to share … and simple to soar! Click here to learn more! Perfectly Posh – Are you ready for a Posh income? Join Perfectly Posh and not only do you get paid to pamper, but you get Posh points for shopping, and exotic vacations. Posh has two pampering kits to choose from and once you wear them, you’ll have to share them. Weekly commissions and a generous comp plan are even more reasons to join us in a fun business that you call the shots for. Lots of support and training and rewards just for you. Posh is a ground floor opportunity with consumable products made in the USA. Rodan + Fields – Redefine your future with the new breakthrough skincare experience from Rodan + Fields. Learn what’s possible when you combine the biggest names in skincare, an innovative business model and clinically-proven, award winning products. This is a particularly compelling time to be a part of Rodan + Fields as we are expanding nationwide in 2013 and entering Canada in January 2014. Think this might be for you or someone you know? Contact me to learn more about the products, business opportunity, and my generous referral program! Smart Living Company – Encourages you to become your own boss with their home décor business model. Become a member to get access to thousands of great items that you can sell at retail prices online or face-to-face. You choose the best selling method to fit your lifestyle and then keep all the profits from every sale. Non minimum purchase and a very low start-up cost. Young Living Essential Oils – Step into natural living with this booming, family-friendly home based business. Growing by 100,000 people each month, Young Living Essential Oils offers the flexibility that allows you to only work when you choose. Out of these 100,000+ people, only 5% of them are turning it into a business. That means there is a huge opportunity for income growth as you have a massive group of people interested in the products and minimal people distributing them. There are no sales requirements, no set hours to work and no obligations. Our leaders and online support teams will help you grow your business quickly and you will be on your way to securing your family’s financial future! Younique – Uplift, Empower and Validate. That is what Younique is all about. The brother/sister team who cofounded this company firmly believe that women should feel valued, smart and empowered through opportunity of personal and financial reward. Younique is fairly new and very fast growing all-natural based quality make-up company best known for their Moodstruck 3D Fiber Mascara, so now is the great time to get in early! This company thrives through a team based approach model. Whether you just want to earn enough money for a mani/pedi each month or work your way to the top, the opportunity is up to you, with the backing of a great team to help you along the way! Get paid within three hours of every sale to use for those immediate needs. Younique is the first direct sales to sell almost exclusively through the use of social media. You decide if you want to take it on the road. The choice is yours, what will you decide? CyberEdit, Inc. offers highly-educated editing, resume writing, and technical writing services. Hires freelance Resume Writers & Essay Editors from Harvard, Stanford, Yale, Columbia and Princeton. Compensation ranges from $15.00 – $35.00 per hour. Edit Fast is a company that offers editing, proof-reading, writing and indexing services. Hires freelance Writers, Editors and Proof-Readers. Editors bid on projects and Edit Fast charges the client an additional fee. First Editing only hires experienced editors, but offers full-time and year round work in various editing capacities, such as, copy editing, business editing, proofreading services, book editing, thesis editing and many more. Ether is a company that sells expert advice by phone and email. Set your rate and hours, they take 15% of what you make. Some examples are a therapist, doctor, nurse, tax expert, teacher offering their expertise to customers. Check out this post for 9 more places to sell your expertise. Call Center QA is always hiring Telephone Mystery Shoppers from the United States. 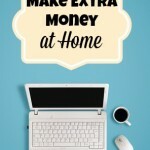 Work from home making calls and completing short online forms. Flex hours and great pay. No upfront costs or background checks. Payout via PayPal within 24 – 48hours. We have employed and paid thousands of people across the United States. Corporate Research International is a mystery shopping organization. Mystery-Auditors (Mystery Shoppers) conduct phone and on-site evaluations. Membership is free. This company is a member of the Better Business Bureau. Mystery Guest Inc. is a research powered marketing group. This company hires “Mystery Guests” that visit a business then complete an online survey. Participants will receive a subsidy or gift as stated in the contract. Membership is free. This company is a member of the Better Business Bureau. Service Intelligence Experience Exchange is a company that offers Mystery Shopping services. Mystery Shoppers are paid $7.00 – $20.00 per job. Membership is free. This company is a member of the Better Business Bureau. Fonemed hires home-based Nurses for triage calls and home based Customer Services Reps. Nurses must have RN license, pay is based on per call rate. Humana hires home based nurses for Inpatient Case Managers, Concurrent Review and Case Management. Candidates must have RN license. McKesson hires nurses for triage calls. Search for positions by remote or “work from home” with city and state blank. Candidates must have RN license. Trial Practices, Inc. is a tool for attorneys to use to prepare for a trial. Participate as a mock juror and get paid $10.00 per hour. Zap Jury is a tool that attorneys use to get ready for trials. Participate in mock jury for fun and/or money. Attorneys decide what they will pay per case, you can also be rewarded for referrals, see site for more details. DVMelite – We are seeking a customer focused consultative sales person! We are a cutting edge technology company in the medical industry providing marketing services to small and medium sized independently owned practices. In this position, you will be acting as a full cycle inside consultant, which means you will be conducting 20-30 minute consultative sessions with warm prospects that are booking an appointment to speak with you. This position is a fit for a person who is experienced in business, is tech savvy, and able to take a consultative approach with prospects; understanding their business and being able to make a well informed decision while still having an understanding in consultative sales. There is paid training and you would be on a 3-4 month hourly pay schedule until you reach the level needed to transition to the regular compensation of activity based plus commission. Many get up to $2-4k per month for PART TIME work so if you have a “let’s build something great” mentality and are a true client focused sales person and ready to prove it, we look forward to hearing from you! Extended Presence hires home based Sales Professionals. This company offers training, competitive hourly base/salary and monthly bonuses. Generation Sales Group hires individuals to complete sales calls, lead generation, and appointment setting tasks. Amazon Mechanical Turk here you can make money online working on HITS (Human Intelligence Tasks). A few of the tasks that I saw listed were, transcribing information from a business card to a form, payout $0.02 cents. Another task was to transcribe a voice-mail from audio to text (audio length 3 hours), payout $76.19. After you complete the task and the requester approves your work and the money is deposited into your Amazon account. ClickWorker is an online platform where you can get paid for writing, translating, researching and collecting data. To get started create an account, fill out your profile, complete a qualification assessment, then bid on jobs. Payments are made by SEPA bank account transfers and via PayPal once your account reaches $1.00 and your tax information has been completed. ClickWorker’s clients include Groupon, Tennis Point, Honda, PayPal among others. CrowdSource allows individuals to complete a variety of tasks, everything from from online profile verification, to writing, editing and marketing. According to their expected earnings information, writers can make $15.00 – $25.00 an hour, editors can earn $10.00 – $35.00 an hour, and market writers can make $12.00 – $20.00 per hour. For the higher paying projects, you will need to pass certain credential tests. Staples, Shutterfly, and Overstock are some of the companies that use CrowdSource. Humanatic – Earn money from home with no start up cost! Humanatic is an awesome community of 40,000 real live people just like you that listen to pre-recorded phone calls for businesses across the world right from their home office. The amount of money you make is up to you, and there are no limits! You get paid for each call you review correctly and advance when you do well to higher paying categories! You can make it a part time job, full time job– it is really up to you! Tell your friends to get involved too, because we offer a sweet referral bonus! The trivago Community is a platform where members working from home can write hotel and attraction descriptions, add new hotels to the website and complete existing hotel profiles, just to name a few activities. We are looking for motivated lovers of travel to help us make trivago the most comprehensive hotel search on the planet! For more short task sites, click here. Keaton Row is a free business opportunity where you act as a personal stylist for individuals. Earn commission on all items that you sell and even get free fashion and business training. Check out this post for more stylist positions. ConceiveAbilities: Have you considered changing lives as a Surrogate Mother? Surrogacy offers women the unique opportunity to earn reimbursed compensation while having the time they need to spend with their family. We look forward to welcoming you to Team Baby! Are You Ready To Change Lives? Start Your Application Today! MindField Online is an online survey site where you can earn cash for taking surveys. Simply sign up for an account, fill out your membership profile (you’ll get more surveys by doing so), complete surveys and once your account has reached a $5.00 threshold, you can request payment via check. MindField not only has an A+ rating with the Better Business Bureau, but they’re also a member of CASRO, which requires members to adhere a strict code of ethics and standards for survey research. Valued Opinions allows you to participate in surveys and earn points for doing so. Points can be redeemed for gift cards from major retailers and brands like Macy’s, Amazon, and Marriott. 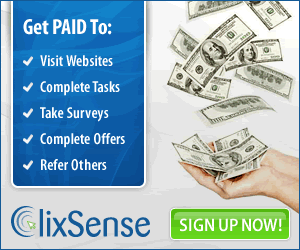 Earn even more by referring friends, in fact you can earn up to $2.00 per friend who joins and completes two surveys. Check out this article for more paid survey sites. Kaplan hires remote based tutors and teachers for a wide range of subjects and areas from after-school programs to test preparation, higher education and professional training. They are looking for experts to teach finance, accounting, business, insurance, IT, real estate, legal, healthcare courses and much more. Tutor.com is a company that offers tutoring services 24 hours a day, 7 days a week. To become an at home Tutor you must fill out an application and pass an extensive screening process. Tutors can work anywhere from 5 to 30 hours per week. Offers competitive pay rates. See here for more teaching and tutoring jobs. Apple hires at home advisors for trouble shooting tech problems and issues. Production Transcripts provides transcription services to clients. Hires highly-proficient, experienced freelance, home based Transcribers, sporadically. Tigerfish offers transcription, proofreading, editing and audio engineering services to clients. Tigerfish hires freelancer contractors for these positions. Must complete and pass a quality assurance test prior to being hired. 247VirtualAssistant.com is based out of Atlanta, GA and is hiring US based Virtual Assistants to work with clients on tasks such as office administration, project management, phone presence and other Virtual Assistant duties. Applicants are being considered for both full time and part time positions with flexible schedules, depending on the clients anywhere from $10 – $40 per hour depending on client requirements. Team Double Click is a company that provides professional virtual office assistants. Hires virtual sales associates, virtual services representatives, public relation virtual assistants, general virtual administrative assistants, and real estate virtual administrative assistants. Pay varies for each position, see site for more details. Virtual Office Temps offers professional business services: clerical support, administration, creativity, management, sales support and personal services. 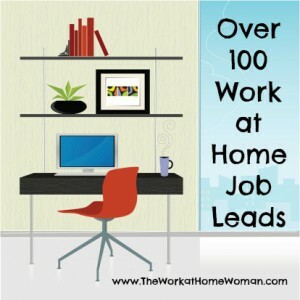 Apply to be a home-based virtual assistant and make $10 – $35 per hour based on project. Zirtual is a San Francisco based company that hires U.S. based, remote workers to work as zirtual assistants. Full-time ZAs start at $12 per hour and work from 9am to 6pm each weekday. Part-time ZAs work from 10:00am to 4:00pm each weekday and start at $10 per hour. Here are more sites that hire virtual assistants. Bisbee & Company is a virtual public relations agency. Contact for more details on home-based PR positions. Orca Communications is a PR firm for inventors and entrepreneurs. See site for various media and PR home-based positions. Perkett PR is a virtual PR firm specializing in PR, social media, training and digital platforms. Leapforce hires at home agents for search engine evaluator jobs in various languages. This position is open to US and International residents alike. Average pay is $14 an hour. Lionbridge has work at home opportunities for Internet Assessors who evaluate the results of web searches. Position is open globally and individuals can work up to 20 hours per week. Average pay is $13.50 per hour. Zero Chaos (Google Ad Rater) hires part-time telecommuters (10 – 30 hours a week) to evaluate the accuracy of Google ads. Applicants must have a BA or BS degree, be located in the US, and speak fluent English. Average pay is $15.00 per hour. Userlytics hires people to provide feedback on websites, applications, prototypes, concepts and more. To apply, register for an account, and then wait for an invite to complete an assignment. Once you’ve completed your assignment you’ll be paid $10 per task via PayPal. User Testing hires people to test out websites. Each assignment pays $10/$15 for 20 minutes of work. To become a tester – submit your email address and apply. Testers must take a sample test before receiving any assignments. This gig is open to US and International residents alike who are able to receive payments via PayPal. Each test takes about 15 – 20 minutes. 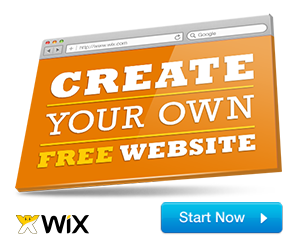 Here are 9 more sites that will pay you to test out websites. Demand Studios hires freelance writers, copy editors and film makers. MetroParent is looking for talented, experienced freelance writers to write on parenting issues, kids, tweens, family travel and the like. Payment ranges from $30 – $350 depending on complexity of topic and number of sources required to do the story justice. NextWave Advocacy, LLC contracts with politically aware, home-based individuals to draft advocacy letters on local, state, and national legislative and regulatory issues. The work does not involve creative, technical or copy writing. It requires the ability to express others’ ideas and thoughts in a letter format. The pay is $13.00 per hour with a minimum commitment of 20 hours per week. Upwork is an online job board for freelancers, search for various writing jobs (article writing, web content, copywriting, ebooks, blogging, etc) as well as design and programming jobs. 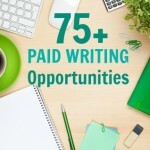 Here are 75+ legit sites that will pay you for your writing. For more money making opportunities, click here.